The Sunshine State has it all for sunshine lovers - and then some. Florida, the great "Sunshine State," is undergoing a sea change, of sorts. It is shedding its reputation as a mecca for senior retirees and seeing an influx of young families. Plenty of millennials and Generation X'ers are drawn to the state for the sunny climate, no state tax, affordable homes, and maybe even to live closer to their snowbird parents. Residents point to the endless sun-drenched days, and note that when its 24-degrees and snowing sideways in New York City in March, it's likely 82-degrees under cloudless skies in Tallahassee, Naples or Miami. Besides South Beach, the languid Florida Keys, the sun-drenched Gulf Coast islands, Disney World, and some of the best college football in the country, Florida offers residents a relatively low cost of living and access to good jobs, low taxes, and a burgeoning public-school system that's drawing armies of young families to the state. Where are they going when they get to the Sunshine State? 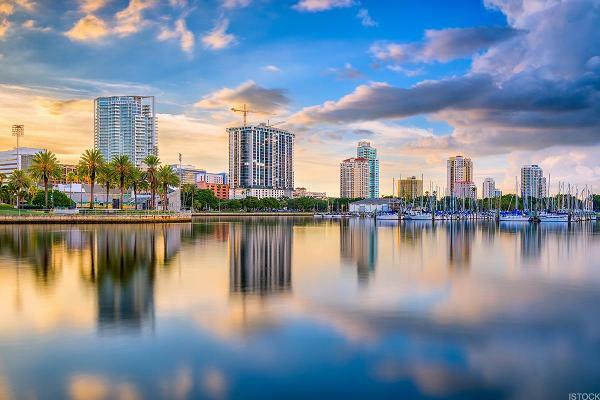 These are the best places to live in Florida. When outsiders think of Florida, they often start with Miami Beach, and its diverse and famous "South Beach" culture. 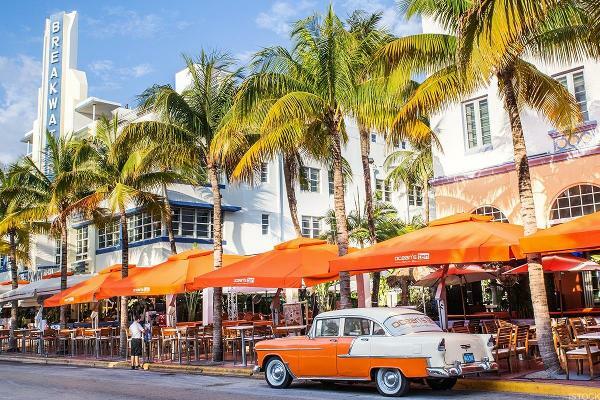 One of the truly great "art deco" centers in the world, Miami Beach has absorbed the culture of the legions of Cubans who have moved to southern Florida; this shows in the city's colorful architecture. Home to residents from a rich variety of nationalities, Miami Beach is a social animal's paradise. Despite its infamous night-life, it has some of the best and sunniest climates in the U.S.
An affordable cost of living and 360 days of sunshine every year, St. Petersburg offers a great downtown cultural experience with great restaurants, music and art options. St. Petersburg also has the third-largest public waterfront public park system in the nation, and is a dog lover's paradise - it's ranked third most dog-friendly city in the U.S.
A retirement haven, by design, The Villages was custom-built for the army of Baby Boomers who move into the planned community on a regular basis (it's said that 20 people move into the community every day.) The average age for males stands at 62, and the average female resident of is 60. The Villages has over 33,000 acres of property, and over 100 miles of golf cart paths. This golfer's paradise offers 12 championship golf courses and 36 shorter executive-style golf courses. It also has three separate town squares, with live entertainment every night between the retiree-friendly hours of 5 p.m. and 9 p.m. 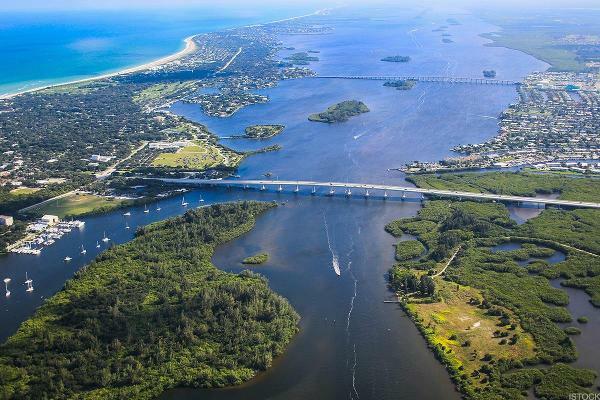 Located on Florida's Treasure Coast, Vero Beach was recently cited as one of "America's Best Small Towns." (Although technically, it's a city.) It has everything a sun-loving individual wants - great beaches and plenty of golf courses and tennis courts. Vero Beach offers a world-class art museum, a great street shopping and dining vibe (along with a great nightlife, too.) For nature lovers, it's also home to one of the world's largest turtle nesting habitat sites. Residents no doubt want to keep Vero Beach a secret, but the word is out and Vero Beach is one of the best places to live in Florida - by a long shot. 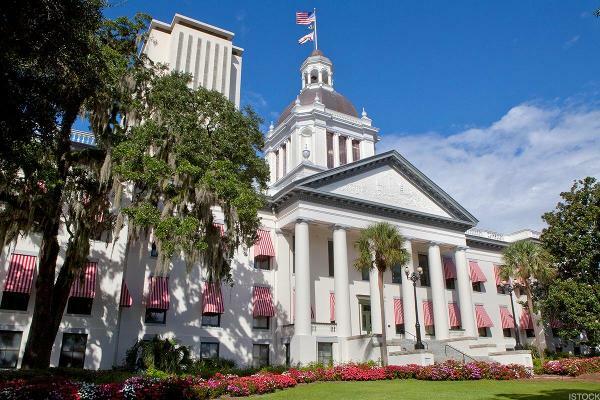 The capital of Florida and home to Florida State University and Florida A&M, Tallahassee is a combo political town/college town (think Boston with palm trees and much lower cost of living). Located in the hilly, northwestern portion of the state, Tallahassee is only 20 miles from the Gulf of Mexico and about 15 miles from the Georgia border. Summers are long and relaxing in this quaint college town, and golf and tennis are easily 12-month a year activities. 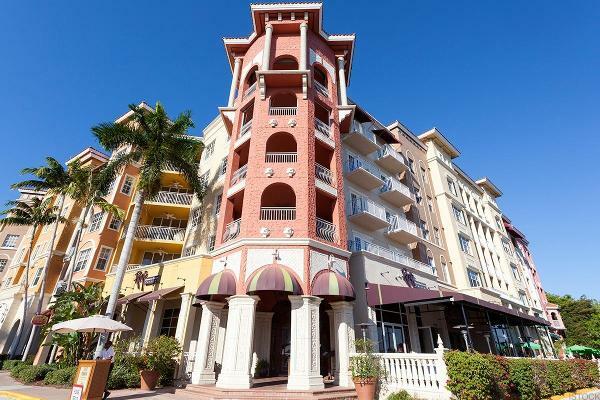 Across Alligator Alley from Miami lies Naples, one of the most affluent communities in Florida. 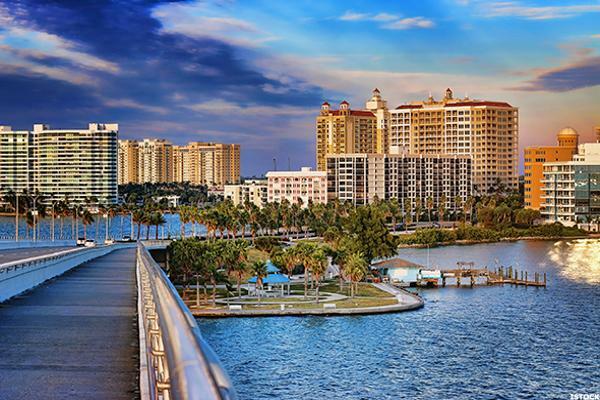 Right on the Gulf of Mexico, with gorgeous sunsets and a vibrant downtown district, Naples routinely makes the lists of best places to live in the U.S. Naples also rates highly on the quality of its public schools and has a very low crime rate. Toss in great golf courses, dining at dusk on the Gulf, and no shortage of great restaurants and it's no surprise that Naples is an "in demand" landing spot for snowbirds up north. 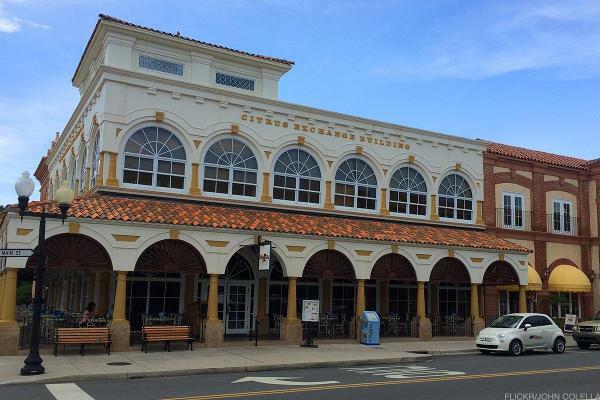 Located close to Tampa, Dunedin is both affordable and comfortable. The average home price is under $200,000 and the town offers 39 miles of walking and biking trails for the exercise-minded. 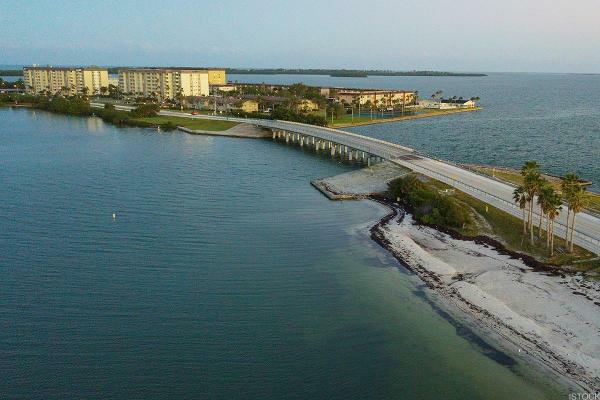 Dunedin is also located on St. Joseph's Sound - one of the premier trout fishing spots in the U.S.
Tucked along the Gulf of Mexico between Tampa and Naples, Sarasota is a coastal city with a small-town feel. The average temperature year-round is a comfortable 72 degrees. The city offers 13 public beaches with 39 miles of powdery sand for residents and tourists. More inland, Sarasota is home to the Myakka River, which offers outdoors enthusiasts 58 miles of canoeing, kayaking and fishing enjoyment. Sarasota also has its own airport, Sarasota-Bradenton International Airport, making it easy to fly in from major U.S. cities. 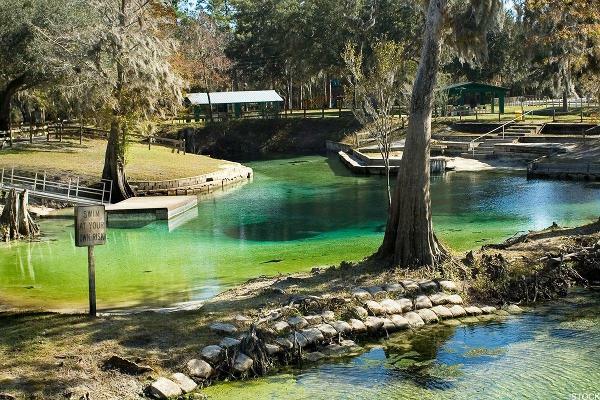 If touristy Orlando is too much, why not try nearby Winter Springs, just 11 miles north of Mickey Mouse's home city? Close to Orlando Sanford International Airport, Winter Springs offers great schools, two great state parks perfect for Frisbee play and picnics, and cool museums and art studios. Oh, and Disney World, Universal and other landmark amusement parks are only a few miles away. 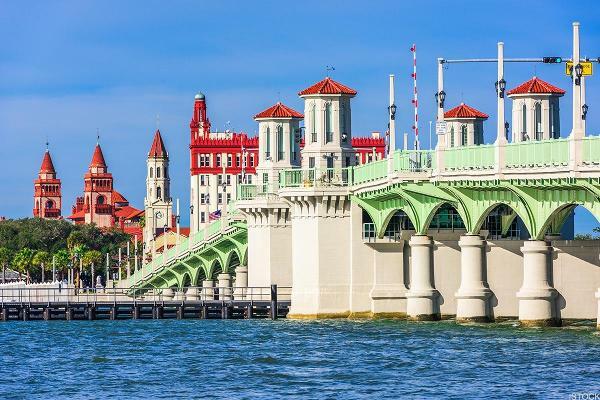 The first American city (founded by the Spanish in 1565), St. Augustine has a historic, old world feel, but with great beaches, an A-rated school system and Ponce de Leon's world-famous Fountain of Youth. Golfers will love visiting the World Golf Hall of Fame and playing a few rounds there. 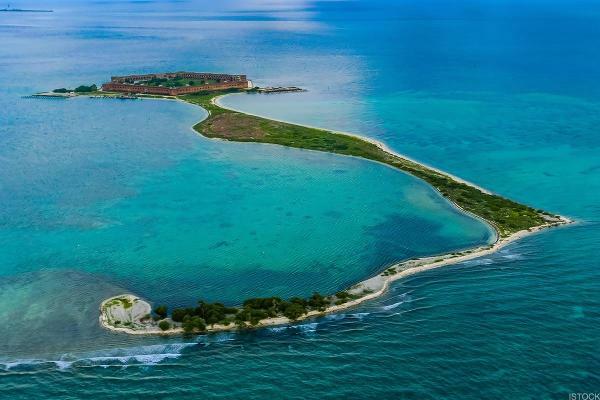 The southernmost point in the continental U.S., Key West is actually closer to Cuba than it is to Miami. The city is comprised of an eclectic blend of natives and outsiders looking for a slow, easy and highly offbeat place to live. Legendary author Ernest Hemingway, Jimmy Buffett, Judy Blume and Robert Frost are among a long list of colorful individuals who have called Key West home.